The remote administration system mechanism provides tools and user-interfaces for external cloud resource administrators to configure and administer cloud-based IT resources. A remote administration system can establish a portal for access to administration and management features of various underlying systems, including the resource management, SLA management, and billing management systems (Figure 1). 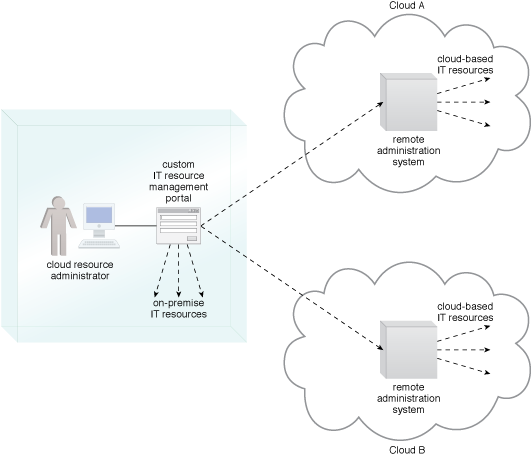 Figure 1 – The remote administration system abstracts underlying management systems to expose and centralize administration controls to external cloud resource administrators. The system provides a customizable user console, while programmatically interfacing with underlying management systems via their APIs. The tools and APIs provided by a remote administration system are generally used by the cloud provider to develop and customize online portals that provide cloud consumers with a variety of administrative controls. Usage and Administration Portal – A general purpose portal that centralized management controls to different cloud-based IT resources and can further provide IT resource usage reports. Self-Service Portal – This is essentially a shopping portal that allows cloud consumers to search an up-to-date list of cloud services and IT resources that are available from a cloud provider (usually for lease). The cloud consumer submits its chosen items to the cloud provider for provisioning. 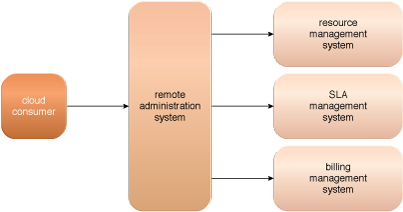 Figure 2 illustrates a scenario involving a remote administration system and both usage and administration and self-service portals. Figure 2 – A cloud resource administrator uses the usage and administration portal to configure an already leased virtual server (not shown) to prepare it for hosting (1). The cloud resource administrator then uses the self-service portal to select and request the provisioning of a new cloud service (2). The cloud resource administrator then accesses the usage and administration portal again to configure the newly provisioned cloud service that is hosted on the virtual server (3). Throughout these steps, the remote administration system interacts with the necessary management systems to perform the requested actions (4). While the user-interface provided by the remote administration system will tend to be proprietary to the cloud provider, there is a preference among cloud consumers to work with remote administration systems that offer standardized APIs. This allows a cloud consumer to invest in the creation of its own front-end with the foreknowledge that it can reuse this console if it decides to move to another cloud provider that supports the same standardized API. Additionally, the cloud consumer would be able to further leverage standardized APIs if it is interested in leasing and centrally administering IT resources from multiple cloud providers and/or IT resources residing in cloud and on-premise environments. 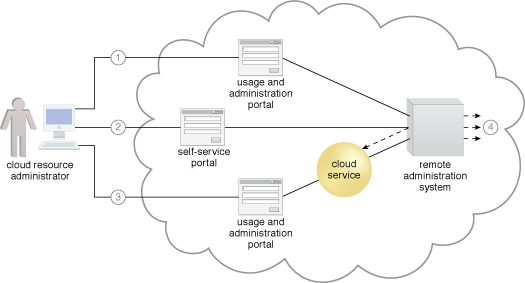 Figure 3 – Standardized APIs published by remote administration systems from different clouds enable a cloud consumer to develop a custom portal that centralizes a single IT resource management portal for both cloud-based and on-premise IT resources.